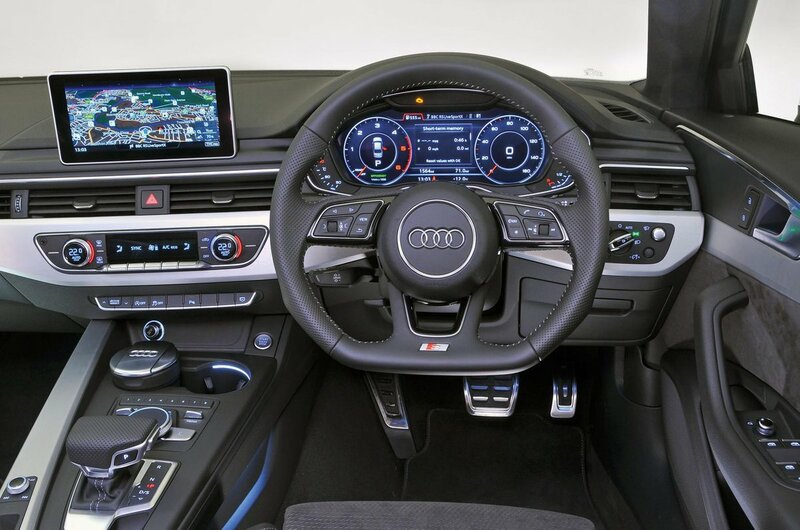 Used Audi A4 Review - 2015-present Servicing, MPG, Insurance | What Car? Prices for this generation of A4 start at around £12,000, this for a 2015 car with an average to high mileage for the year, bought from an independent dealer. Up the ante to between £14,000 and £16,000 and you'll find a good choice of cars with an average mileage for the year and a full service history, while £17,000 to £19,000 brings you your choice of 2017 cars, some from franchised dealers. The A4 has impressive on-paper economy figures, but it can’t live up to these in normal driving. Under those circumstances, the 1.4 TFSI will achieve nigh on 40mpg, while the lower-powered 2.0 (badged 190) returns 37mpg. The 2.0 TFSI 250 is thirstier, recording 30mpg on average. 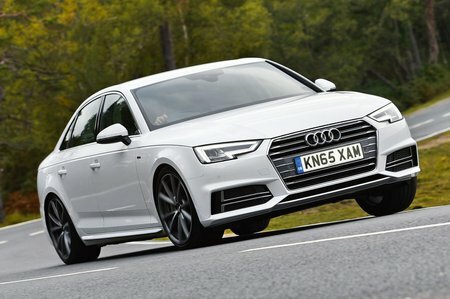 The last of the petrols, the S4, will struggle to break 25mpg, but the trade-off is that it is agreeably powerful. The diesel engines fare better, with the 148bhp 2.0 TDI averaging 50mpg, while the 187bhp version will return an mpg of mid-40s. The lesser of the 3.0 TDI engines will approach the 45mpg mark but the most powerful diesel, the 264bhp 3.0 TDI with an automatic gearbox and quattro four-wheel drive, will average 30mpg. VED rates vary quite considerably, from £0 for the manual 2.0 TDI Ultra to £235 for the S4. None of the 2.0 TDI models will cost more than £30 to tax, with the majority of the 1.4 and 2.0 TFSI models costing between £125 and £160, even when coupled with an automatic gearbox and quattro all-wheel drive. Cars registered after April 2017 will pay a flat rate currently £145 a year - those whose new price was over £40,000 will pay an additional luxury car tax currently £320 a year. Audis do tend to be expensive to service at franchised dealers, but once these models are three years old they will qualify for Audi’s fixed-price servicing deal, which costs from £167 for a minor service and £329 for a major one (based on cars with engines no larger than 2.0-litres).